I thought I would show you a photo of how long, curly and thick my hair is first. through my hair to the ends. I dry my hair on the 2nd hottest selection - not too hot - and I leave a little bit of moisture still in it. I use these alligator clips to section my hair for straightening. I also use them for setting my hair in Pin Curls. I then straighten my hair using a Remington Straightener. tuck in the ends. The Second item is the Lindy's Charm School for Girls Essential Setting Lotion. The fine tail come I use to get the final knots out of my hair before straightening or Setting - I also use it for teasing. I use the tail brush to smooth my hairstyle to finish it off with hairspray. This is a wonderful set of hot rollers - they actually have velvet rollers and they don't get stuck in my hair. 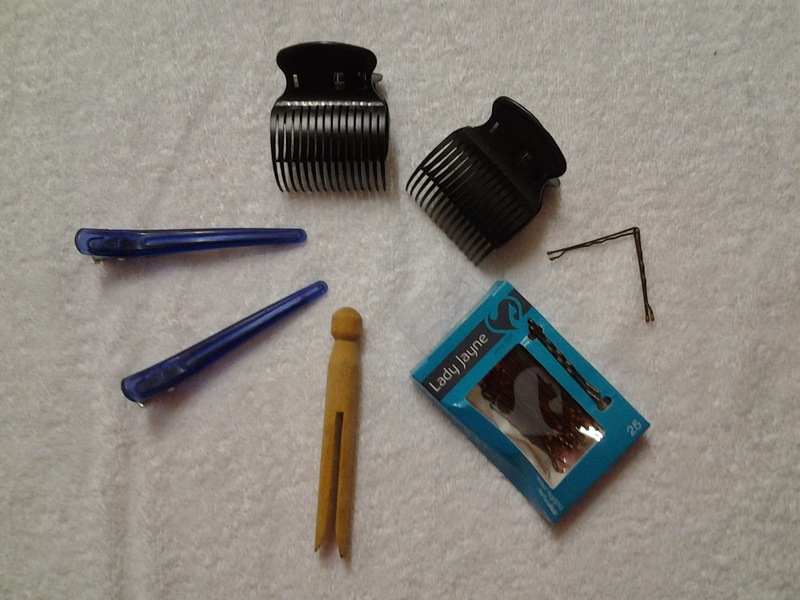 They have the normal hot roller pins as well as alligator style clips - which are wonderful for my long thick hair. This photo shows how smooth the rollers are - they create a great smooth curl - they have 3 different sizes. At the top it shows the Hot Roller alligator clips that I use when I set my hair. The blue long alligator clips on the left are used to section my hair for setting and for styling. 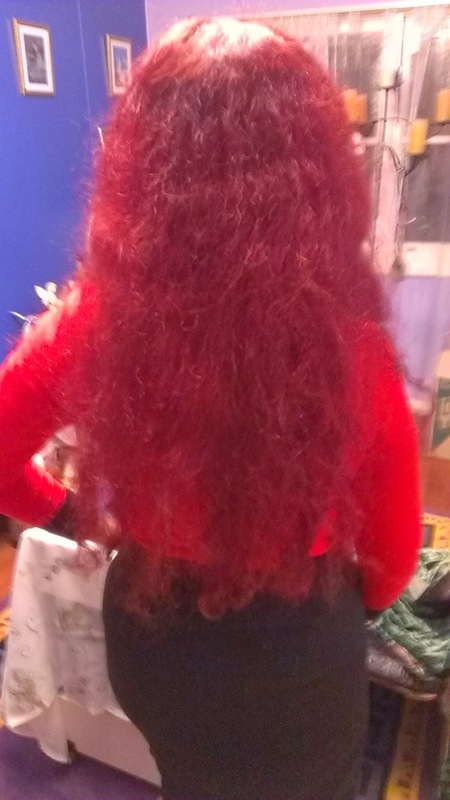 There are medium sized bobby pins shown on the bottom left hand side - you need to get the colour closest to your hair colour - I use light brown/blonde ones on my reddy coloured hair. The wooden clothes dolly peg I use for doing old skool pin curls. 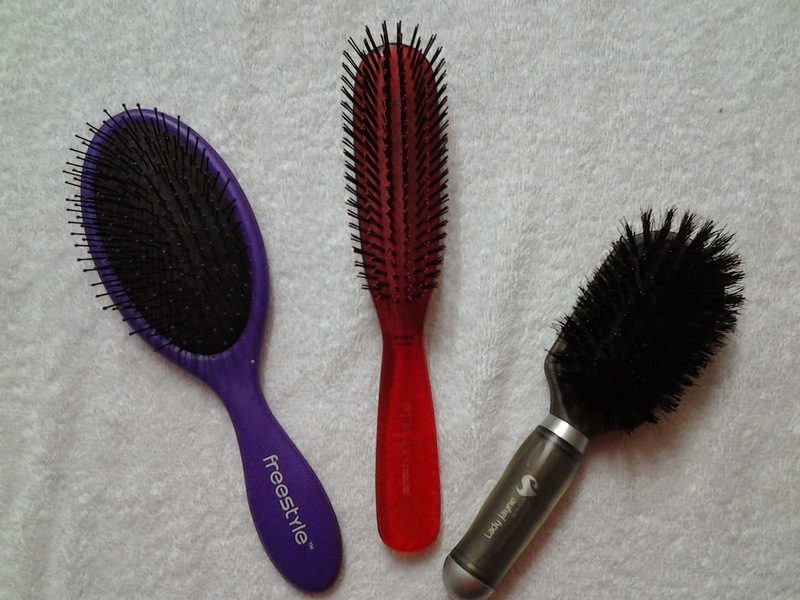 The purple brush is like a lifesaver for me it is a Freestyle detangler brush - it has soft bristles - but it detangles without pulling your hair out. You can even use it on wet hair - my hairdresser told me this). The middle brush is a stiff bristle brush that I use to brush out hair spray. The brush on the right hand side is a soft smoothing brush that I use to smooth the fly a ways on my curls before doing my victory rolls. I use old skool hairspray - I have found that the lacquers are too hard on my hair and actually cause my hair to snap like a twig. I use the Green Firm Cedel hairspray to tease my hair and smooth the initial fly a ways. 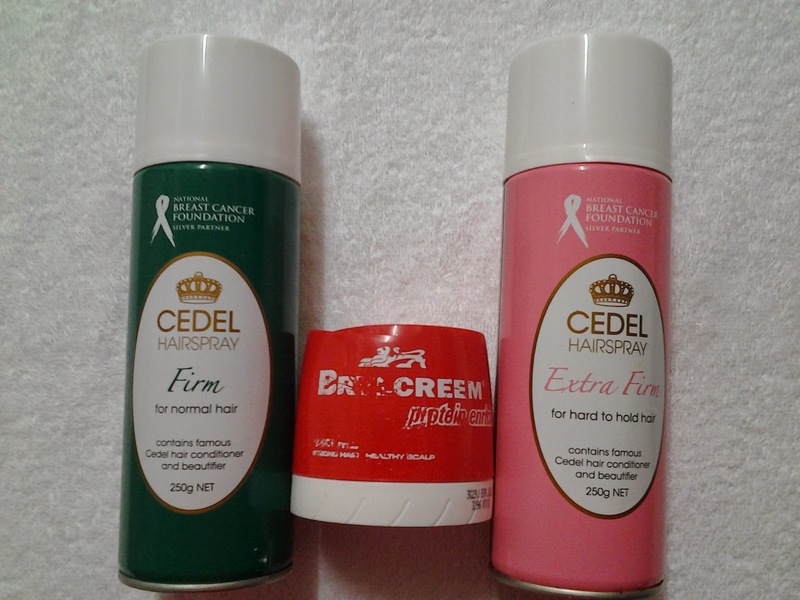 I use the Pink Extra Firm Cedel hairspray as a finishing spray. The centre container is Brylcreem (as you can see it is well worn) - I use this to smooth fly a ways on my victory rolls etc - it also conditions your hair - I use this as a pomade.